Strengthening America's education system is important in fostering innovation and promoting our economic security. 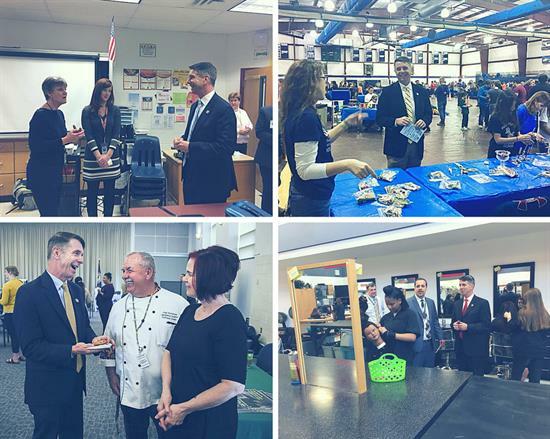 This week, I held two Career and Technical Education (CTE) Symposiums in two areas in the district. 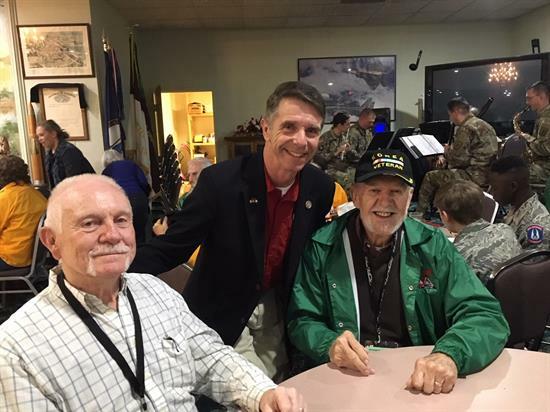 The first took place on Monday at Germanna Community College in Fredericksburg and the second one in Hanover at American Legion Post 175. 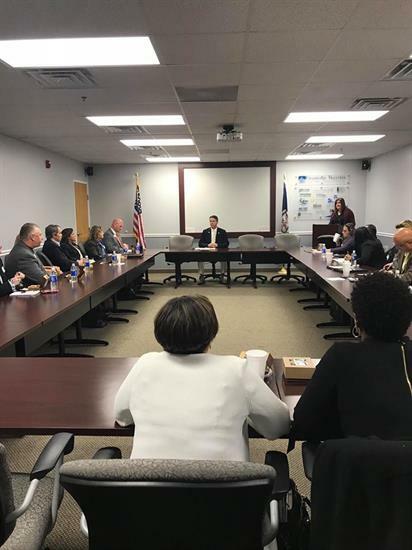 I've held these symposiums in order to connect education institutions with local businesses and the private sector, and to help ensure the curriculum for our students reflects the needs of the workforce. 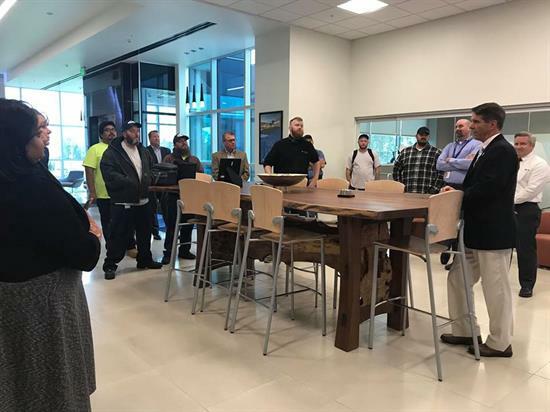 Currently, businesses across America are facing a severe talent shortage due to a lack of vocational education and technical training. 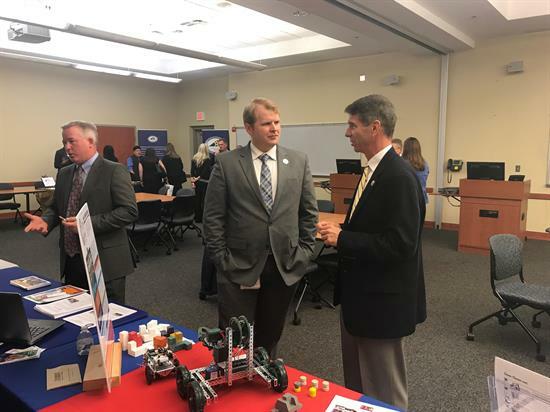 One of my top priorities is promoting CTE and STEM programs as a way to cultivate skillsets needed in today's workforce and connect students with good-paying jobs. We must be preparing our young people and provide them with the necessary skills and knowledge to compete in a global economy. These symposiums are a great way for students to see what opportunities are available to them after high school. Not all students are on the path to a four-year college degree. By 2020, demand for STEM jobs will be higher than any other occupational focus including healthcare and service industry, with an estimated 9 million jobs. Almost of half of these jobs will require less than a four-year degree, paying an average of 15% more than non-STEM related jobs to people with similar academic background. 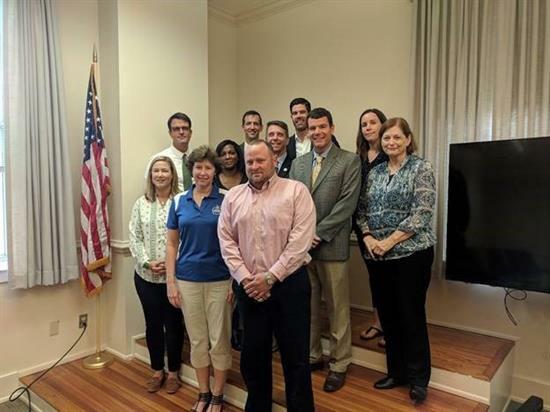 I have made it my mission to meet with all of the CTE programs in the First District and we have a had a lot of success. 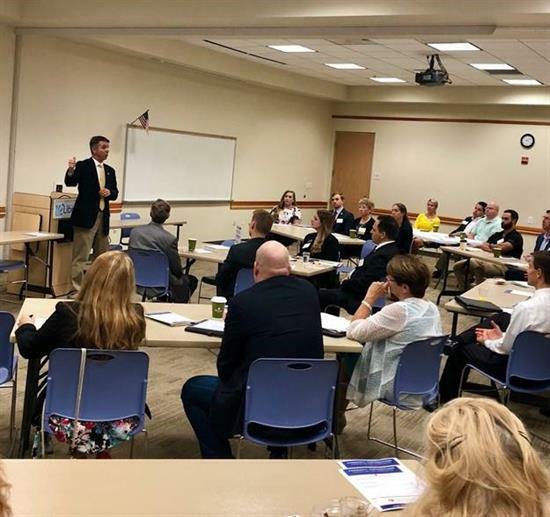 In May, I held my first symposium at the University of Mary Washington's Stafford campus, where, again, teachers, businesses, students, and education officials came together to discuss partnership opportunities and ways Congress can help our students cultivate tangible skill sets. With students facing record education-related debt averaging $37,000, and less than 30 percent of college graduates working in jobs related to their major, CTE offers a great alternative. Congress has been working hard to bring even more, real change to our students. I was proud to support the Carl D. Perkins Career and Technical Education Act, which is now signed into law. The Perkins CTE program controls over $1 billion in grants for federal, state, and local CTE programs. 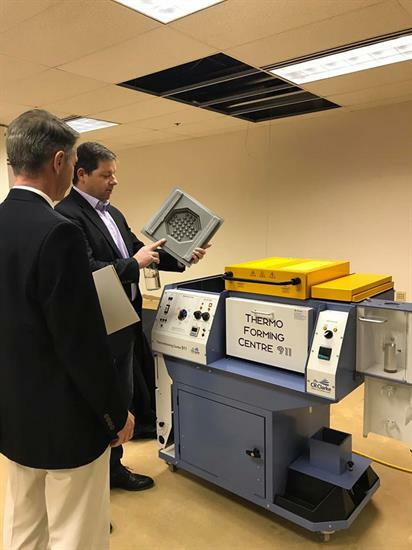 The reforms include expanding access to CTE programs, helping schools create partnerships with the business community so students can cultivate skills in demand by the labor market, improving and modernizing schools' CTE programs, and giving states and localities more control over how to spend CTE dollars. Last year, my legislation, the Domestic Maritime Centers of Excellence Act, passed the House as part of the National Defense Authorization Act and was signed into law by the President. 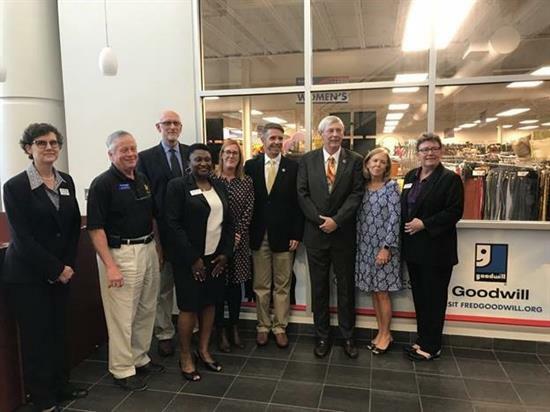 This bill advances the capabilities of two-year community and technical colleges to assist the federal government and industry in securing the talent pipeline for domestic maritime industry jobs. 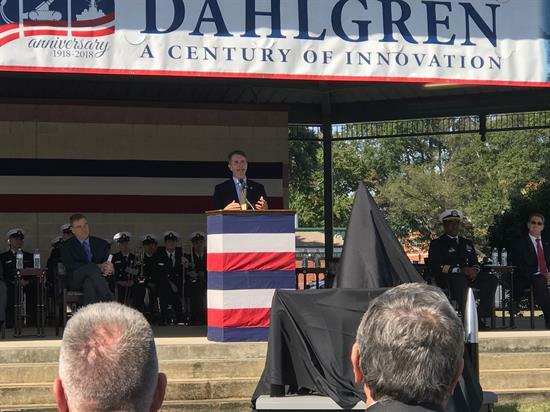 This bill not only helps promote participation in STEM and CTE but will create a talent pipeline for our shipbuilders and repairmen in order to sustain and grow our Navy's Fleet. 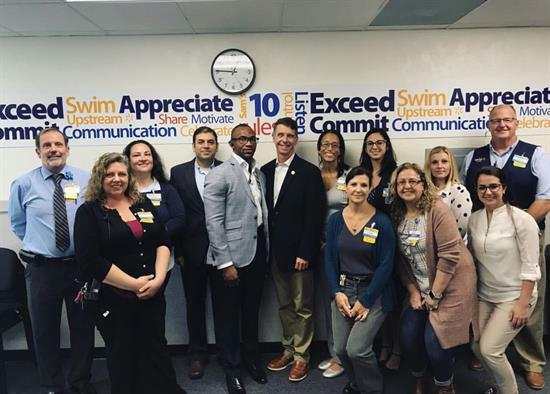 It is our responsibility to prepare students for the demands of our current society and to provide unemployed Americans with an outlet to reintegrate into the workforce. 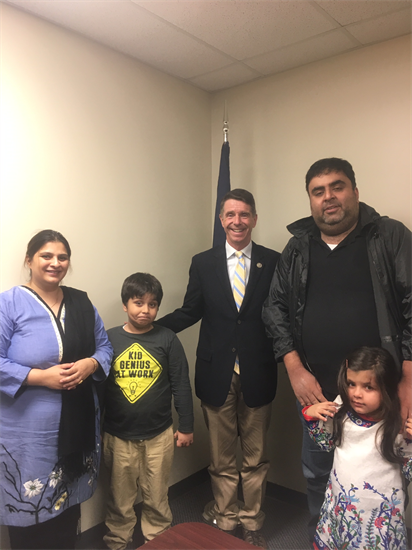 I will always continue working for what is right for our young people. You've been Organizing for '18 for so many reasons. 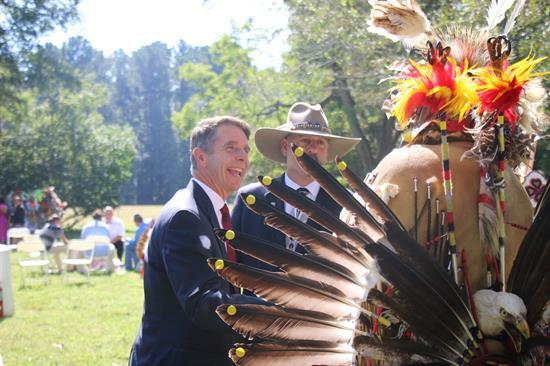 Watch this video and get inspired for this push to Election Day. For the past two years, you've worked your heart out. You have given everything to make sure our country reflects the values that you care about. You have talked to your friends and family members. You have marched. You've showed up at your representative's office and at town halls. You have held trainings. And today, you continue to knock on doors and make phone calls to make sure that voters are ready to get to the ballot box. You have proven this: OFA is only as powerful as the people who choose to get involved in this movement. With just 11 days until Election Day, we want you to see the impact that you've had, and hold strong to what we need to do before November 6. 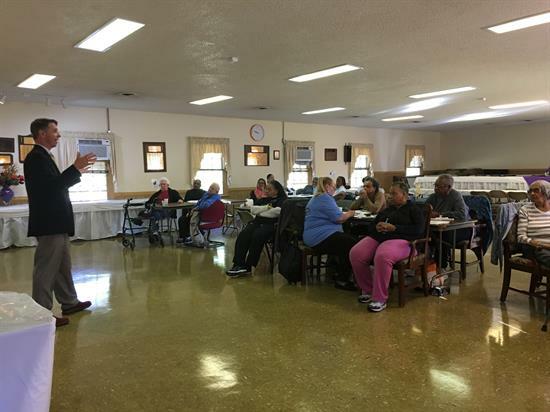 People from throughout the country joined the team for a variety of different reasons: To protect their health care. 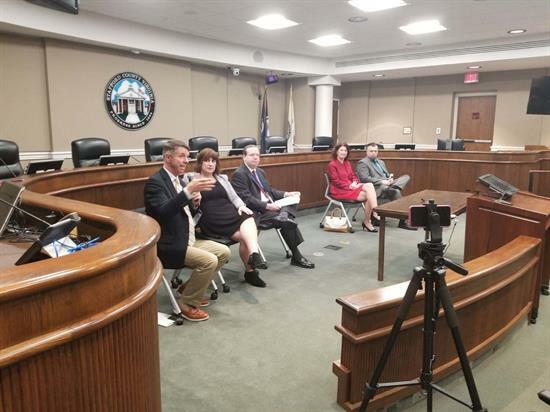 To fight back against gerrymandering. To stand with women and LBGTQ communities. To elect better representatives nationwide. 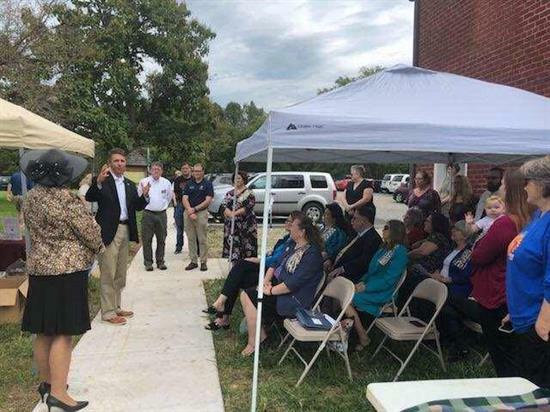 But whatever the reason, one thing has been true: The grassroots energy and communities of action these volunteers and supporters have built since the program's launch has been awe-inspiring. 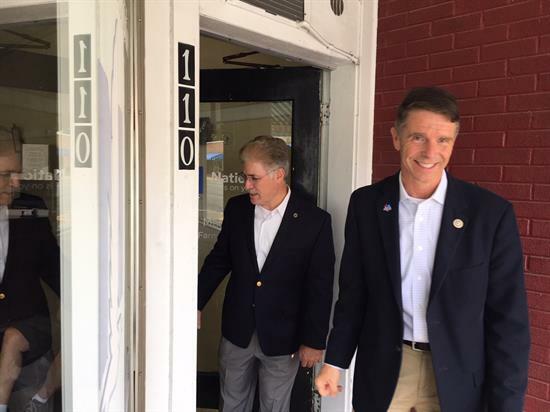 There are only 11 days until Election Day -- and there is a lot of work to be done. Everything we care about -- education, affordable healthcare, gun violence reduction, environmental protection, women's rights, to name a few -- is on the line on November 6. And we need to make sure we do everything in our power to elect candidates who will stand up for these issues. But we can only do that with your help. Get involved and volunteer in this final push. Congress accomplished a great deal of work this September. We passed landmark legislation to combat the opioid crisis. We also sent a government funding bill to the President's desk that delivers on-time, reliable funding for our military for the first time in a decade. These resources will allow our service members to meet current national security threats and plan for the future. The House also took the first step to build on the incredible economic growth we've seen this year by passing Tax 2.0. This bill would make the tax cuts for working-class families and small businesses permanent, promote family savings, and spur new business innovation. 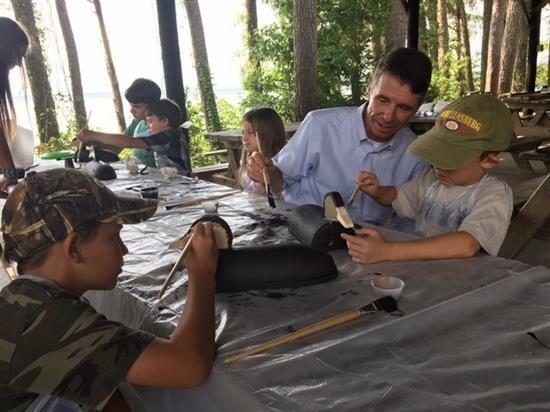 The Greater Williamsburg Ducks Unlimited Chapter held its 14th Annual Fall Event, where I joined some area Greenwings in activities including coloring, decoy painting, calling tips, and dog handling. Today's youth are the conservationists of tomorrow. 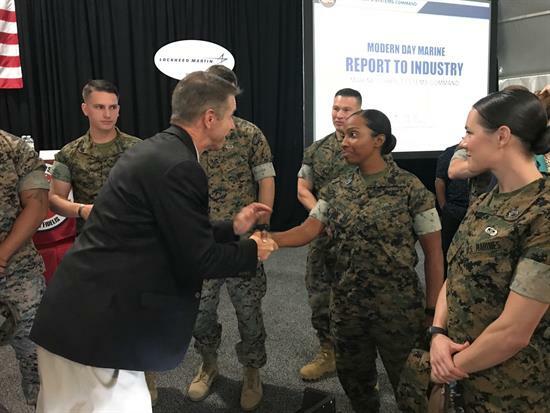 I stopped by Modern Day Marine at MCB Quantico to speak with some our service members. 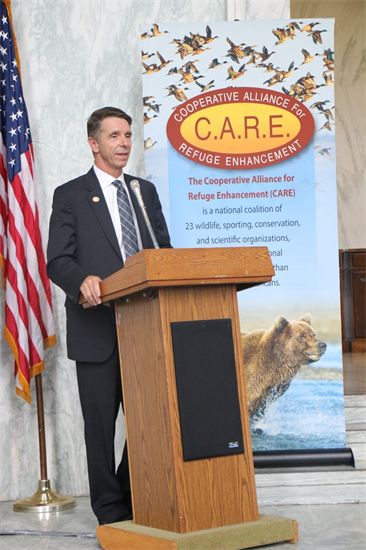 I spoke at the National Wildlife Refuge Expo about how I worked across the aisle with Rep. Hakeem Jeffries (D-NY) to pass the Keep America's Refuges Operational Act that authorizes the volunteer programs critical to keeping our refuges up and running. 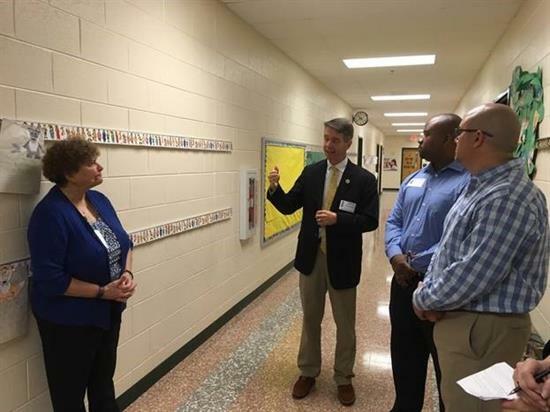 I dropped off some school supplies and visited with teachers and school officials at Rosa Parks Elementary in Woodbridge. 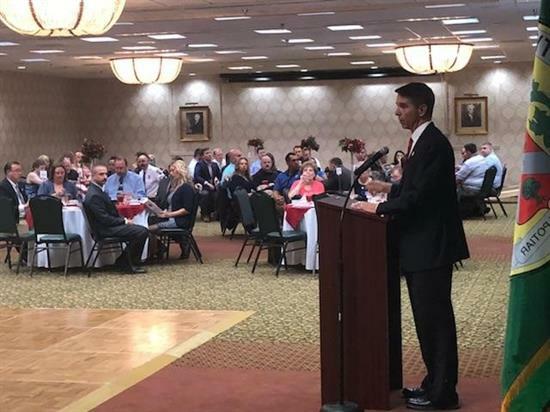 I spoke with folks at the Prince William County Chamber of Commerce about the strength of our economy. 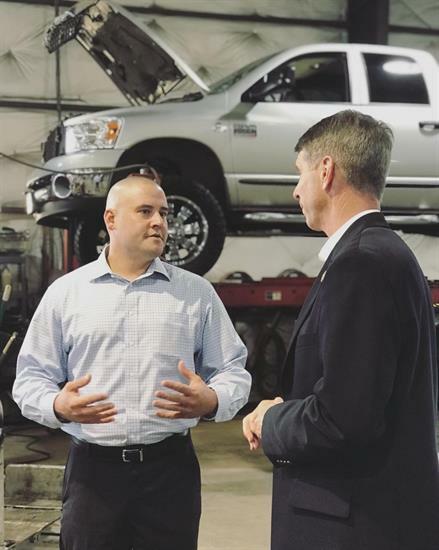 From record low levels of unemployment to rising wages to record high consumer confidence, the polices this Congress has put in place are working. 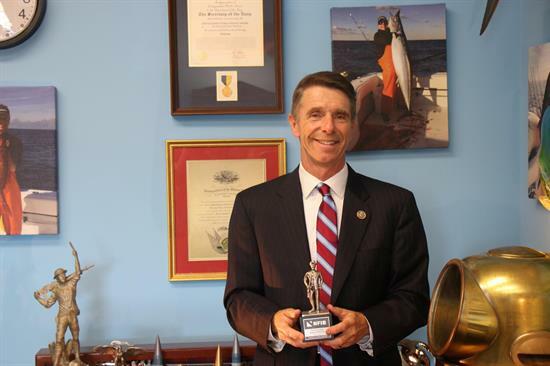 I received the Guardian of Small Business Award from the National Federation of Independent Business (NFIB). 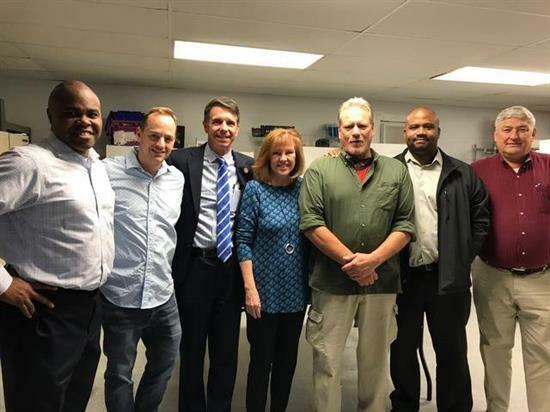 Virginia's First District has a plethora of small businesses that are critical to the health of our economy, and I'm proud to fight for the policies that help them succeed. 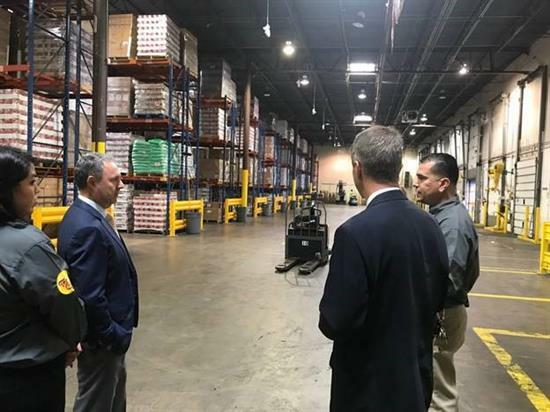 I toured Diaz Foods Distribution center in Manassas to hear about the role tax reform has played in their business. 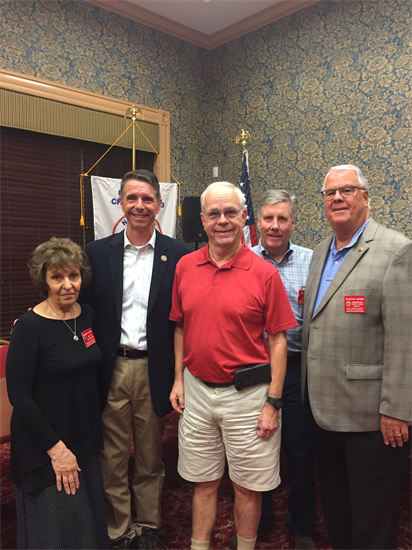 I spent an evening with International Association of Fire Fighters Local 3886 to celebrate their 20th anniversary and thank them for their service to our community. 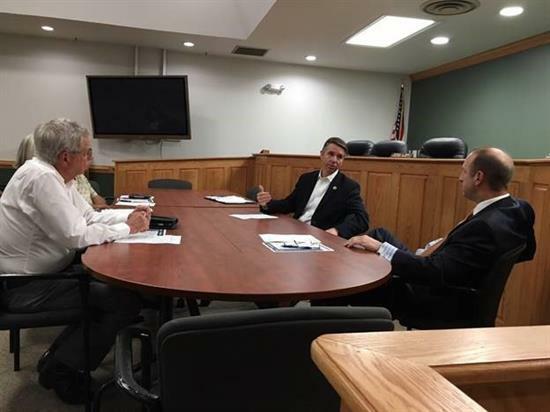 I joined the Fredericksburg Regional Chamber of Commerce to talk about ways Congress can work alongside states and localities to eliminate barriers to expanding broadband access in rural Virginia. 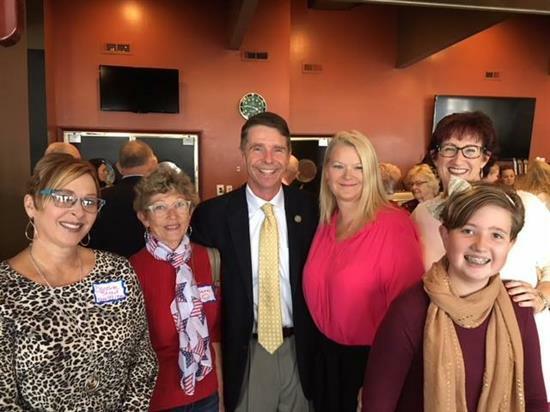 I stopped by Brentsville Day in Bristow to talk with the Daughters of the American Revolution. 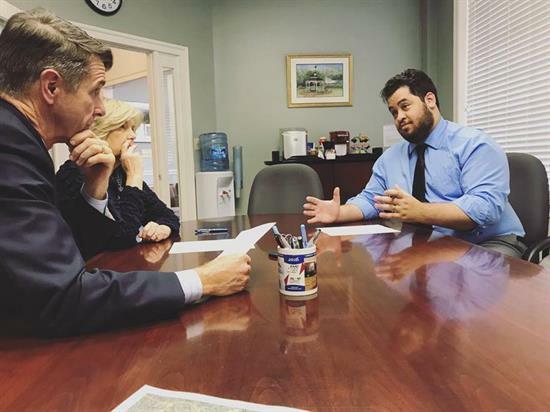 I spoke with the New Kent Educational Foundation about my work to connect students with good paying jobs through CTE and STEM programs. 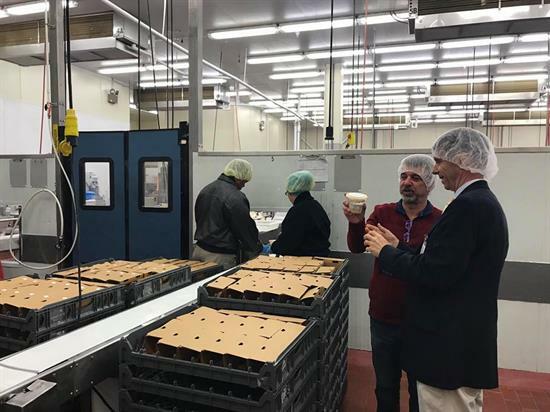 I had the pleasure of visiting Rappahannock Goodwill Industries to meet with their CEO, tour the facility, and learn more about their mission and services to folks in our area. 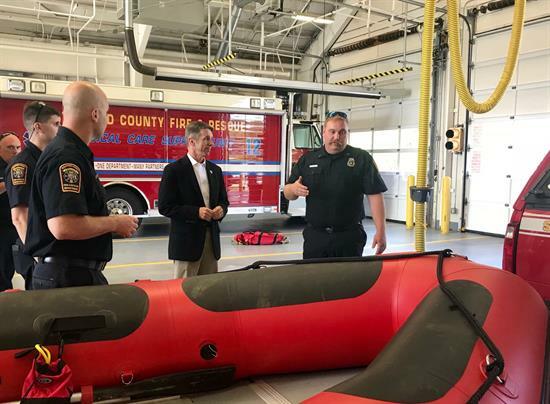 I heard from the firefighters at Stafford Local 4012 about ways Congress can continue to support our first responders. 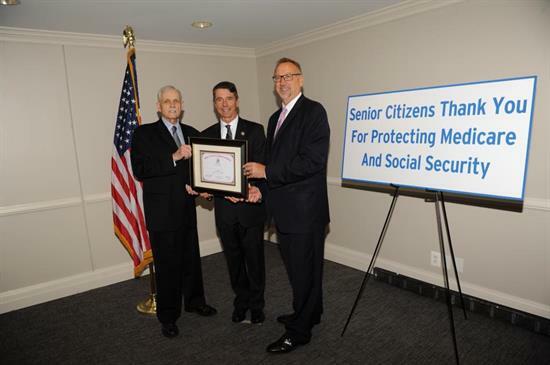 I received the "Guardian of Seniors' Rights Award" from the 60 Plus Association for my commitment to protect Medicare and Social Security. 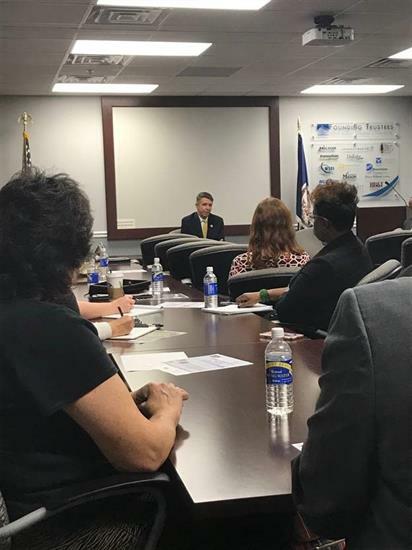 I met with the New Kent Chamber of Commerce for a business roundtable discussion to hear from business owners on how I can continue to be a voice for the polices that help our Virginia small businesses succeed. 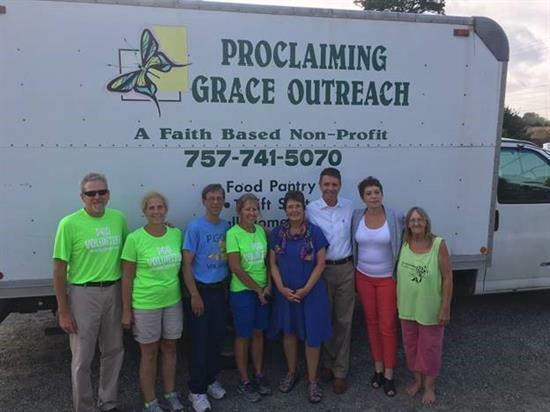 I stopped by Proclaiming Grace Outreach to hear how they serve folks in New Kent and James City Counties through their food pantry and thrift shop. 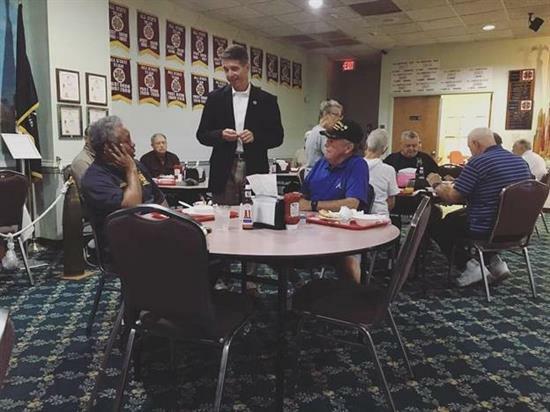 I hosted a Hanover Veterans Forum at VFW Post 9808 to learn more about what issues First District veterans are experiencing and share some of the bills we've passed this Congress to expand and improve veterans' access to their hard-earned benefits. 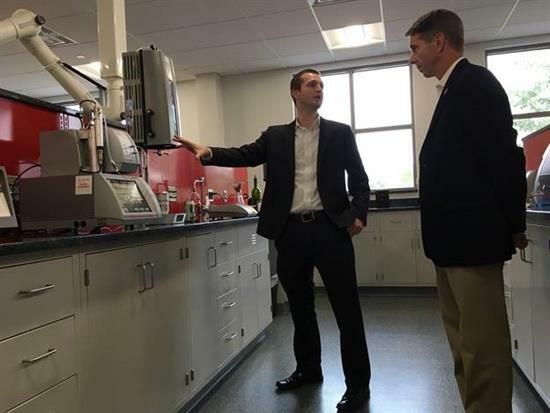 I toured Anton-Paar USA Inc in Ashland to meet with employees, provide a Capitol Hill update, and hear how this Congress can continue working to alleviate the regulatory and compliance burden on businesses. 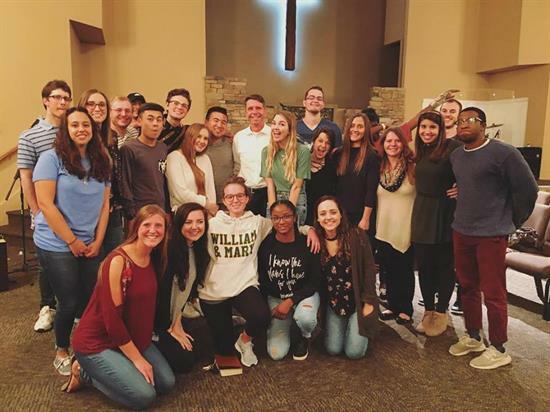 Wittman Named "Hero of Main Street"